Kahlua has introduced a convenient, easy way to enjoy iced coffee—in a can. Kahlua® Iced Coffee, a refreshingly simple iced coffee that contains a delicioso taste of Kahlua, comes in a convenient to-go can. 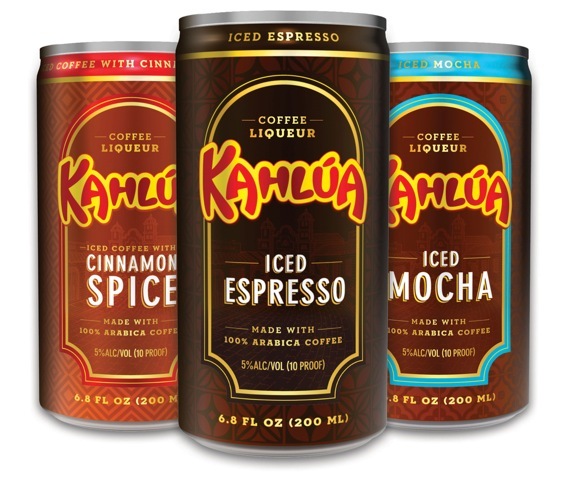 With its new iced coffee, the company’s sleek cans are perfect for any gathering or a quick coffee break, while maintaining the sophisticated coffee flavor of traditional Kahlua. In addition, canning the drink keeps the blends fresh and genuine, according to a news release. Kahlua Iced Coffee delivers the artisanal taste of iced dark coffee using Kahlua’s locally sourced and 100 percent Arabica coffee beans from Veracruz, Mexico. The new iced coffee comes in three flavors: Iced Espresso, Iced Mocha and Iced Coffee with Cinnamon Spice. Kahlua Iced Coffee, which is 5 percent alcohol by volume, comes in a 200ml can. The new drink is available nationwide, with an MSRP of $2.50 a can, or $9.99 for a four-pack. A former newspaper editor and publisher who has handled digital duties for The Shelby Report since 2011. She once enjoyed leisurely perusing the grocery store aisles but, since having a baby in 2016, is now an enthusiastic click-and-collect shopper.